An assortment of delicate and wonderful china pattern wedding cakes. 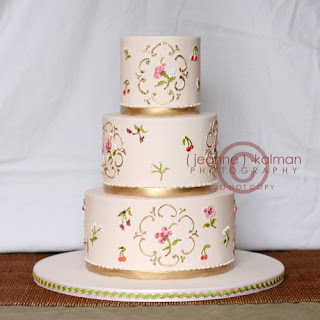 A square three tier wedding cake with a delicate pink and gold china pattern. A three tiered round china pattern wedding cake in pastel pink with gold bands and sweet little red cherries. 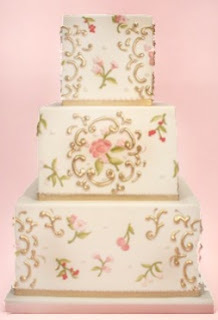 Beautiful blue and white china pattern wedding cake.